The same goes for only doing one type of exercise, without adding in some strength and conditioning drills. The body has a wonderful way of wanting to make things more efficient for us, using less energy to do the same things. 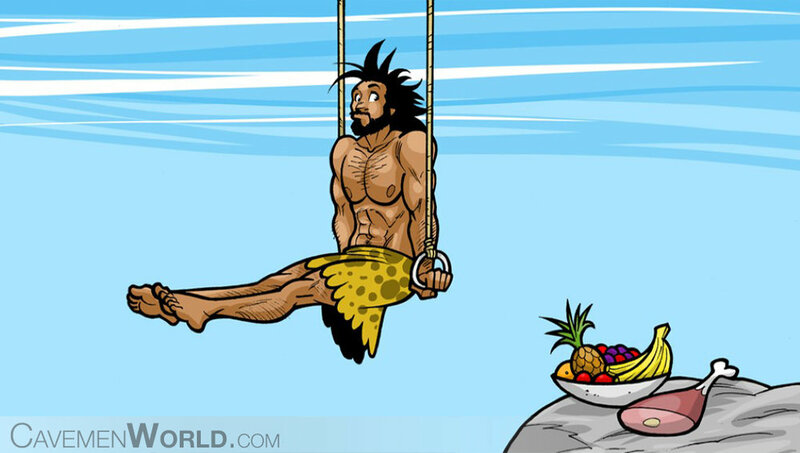 This clever strategy would have been extremely useful back in Cave Man times when we didn't know when our next meal was, so energy preservation was key, but also when in our daily lives we would have naturally have been doing some strength and conditioning type work.... lifting stones, squatting by fires, lunging with spears at animals, fetching water in heavy pots etc. In today's cushy life, we don't do very much of that type of stuff at all. Most of us tend to get in our cars, sit on our bums all day, shop for our food (not hunt and kill it), have running water and lunge only for the remote. In our leisure time we then want to spring into action for a run/ cycle/ swim (our exercise equivalent of Macaroni & Cheese) without doing all the vegetable exercises, and then we are surprised and disheartened when we start to pick up injuries. If you're running a lot and feel like you're slowing down instead of improving your time and stamina, this could not only be that you're fatigued, but that you're getting weaker too! Mix things up, do some cross-training, and more importantly do some basic strength exercises an absolute minimum of twice a week (preferably 3-4 but we will take what we can get!). If you hate the gym, there are loads of things you can do at home, in the garden, at the park before your run, but make sure you do them... your performance will improve and your injury rate will too!